Supports healthy blood sugar levels already within a normal range, digestion, and metabolism. MAINTAIN BLOOD SUGAR LEVELS ALREADY WITHIN A NORMAL RANGE. One of the biggest health concerns of the American public today, affecting roughly 30% of us, is how to maintain blood glucose levels in a healthy range. The probiotic strains and banaba leaf extract in this formula have been studied to support the maintenance of healthy blood sugar levels already within a normal range. Last year, a German Diabetes Center clinical study found that daily ingestion of Lactobacillus reuteri SD-5865 (the strain present in Hyperbiotics Glucose Support) in a BIO-tract® time release tablet promoted optimal glucose and insulin levels in participants. In this randomized, double-blind, placebo-controlled study people taking the L. reuteri had increased glucose-stimulated insulin secretion by 49%, C-peptide secretion by 55%, GLP-1 release by 76%, GLP-2 release by 43%, and altered beta-cell function relative to people taking the placebo. The study article was published online along with supplementary data, at the American Diabetes Association® (ADA) Diabetes Care® website in June 2015, doi: 10.2337/dc14-2690. The referenced presentation was made at the 72nd Scientific Sessions of the ADA, Philadelphia, PA, in June 2012. MANAGE YOUR OXIDATIVE STRESS. Evidence suggests that antioxidant activity is lower and oxidative stress is higher in those of us with blood sugar concerns. The targeted probiotics in Hyperbiotics Glucose Support have been studied to support antioxidant activity helping to put you on the path toward optimal health, naturally. SUPPORT YOUR METABOLISM. Studies show that people with a less diverse set of gut bacteria are more likely to have weight and metabolic issues. This formula was designed with 7 well-documented probiotic strains to help you get your gut back into equilibrium. LIVE MORE HEALTHY DAYS. 80% of your immune system is in your gut. Hyperbiotics Glucose Support helps restore beneficial bacteria to support digestive and immune health and helps address gas, bloating, and irregularity. Life should be easy. 7 Targeted Probiotic Strains studied for their ability to support healthy glucose levels already within a healthy range and to support digestive, metabolic, and immune function. Banaba Leaf Extract has been studied to maintain glucose levels already in a normal range in as little as one week by supporting the transport and the uptake of glucose. Vitamin D3 demonstrates the ability to support blood sugar levels already within a normal range. Only Once per Day. That’s it. Because with time-release delivery, the benefits are being delivered deep inside your gut hour by hour. Glucose Support does not contain any strains that are not resident to the human gut, like Soil Based Organisms (SBOs) or active yeasts. *GlucoHelp® is a registered trademark of Soft Gel Technologies, Inc.
Disclaimer: Please note that only your own physician can determine your precise needs, but in order to give you some information these answers are based upon the ‘average person’ and clinical/ published results. What strains are in Glucose Support? What are the benefits of taking probiotics? What are the benefits of taking Glucose Support? What is Banaba Leaf and why is it important for glucose levels? Why is vitamin D3 in this formula? Will Glucose Support interfere with my diabetes medications? What makes Hyperbiotics probiotics more effective? How long should I take Glucose Support? 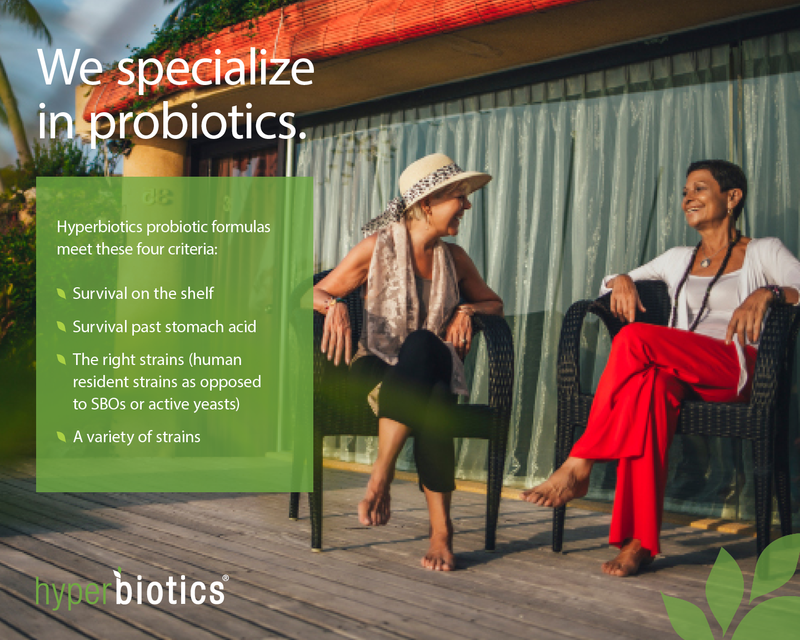 Probiotics support your health at its core. The targeted probiotic strains, along with Banaba leaf extract and vitamin D3, in this formula help to support glucose levels already within a normal range and support digestive, metabolic, and immune function. Banaba leaf extract is an amazing ingredient that is clinically studied to support blood glucose levels already within a normal range in as little as one week with the help of corosolic acid, which supports the transport and uptake of glucose into the body safely and effectively. Banaba leaf extract also contains powerful antioxidants, supports the health of the pancreas, and helps with weight management. There is a correlation between vitamin D levels and the body’s ability to effectively metabolize glucose: those with blood sugar issues often have low vitamin D levels. This is because vitamin D supports insulin sensitivity, which means that you’ll need less insulin to properly maintain blood sugar levels in a normal range. Studies show that correcting a deficiency of this important vitamin can lead to significant changes in sensitivity. Vitamin D3 supplementation has also been studied to support the microbial diversity of beneficial bacteria. We would suggest asking your healthcare provider to make sure that it is okay for you to take Glucose Support with your current diabetes medication. Probiotics are much like vitamins, some people notice a difference almost immediately while others may need a few weeks or more. It’s also possible to simply notice a subtle shift in a healthier direction. From the day you start taking Glucose Support, it gets to work colonizing in your digestive tract. You can take Glucose Support indefinitely. The probiotics will build up in your system over time to help support your digestive and immune health, and the Banaba leaf extract will continue to help maintain glucose levels already in a healthy range. A shelf life you can count on. We use a patented manufacturing process called LiveBac® that increases the stability of Glucose Support without refrigeration and enables us to guarantee its shelf life until the date of expiration found on the bottom of your bottle. Store in a cool, dry place. Really. If you don't live in a cool, dry place or keep your home below 78 degrees, it is best to store your bottle in the fridge or even better, in the freezer, when/if you can. Glucose Support is only susceptible to extreme heat and humidity once the bottle has been opened (our probiotics are very well protected until then). Glucose Support has a guaranteed, extended shelf life with zero refrigeration. It's OK to take on an empty stomach (though not required). 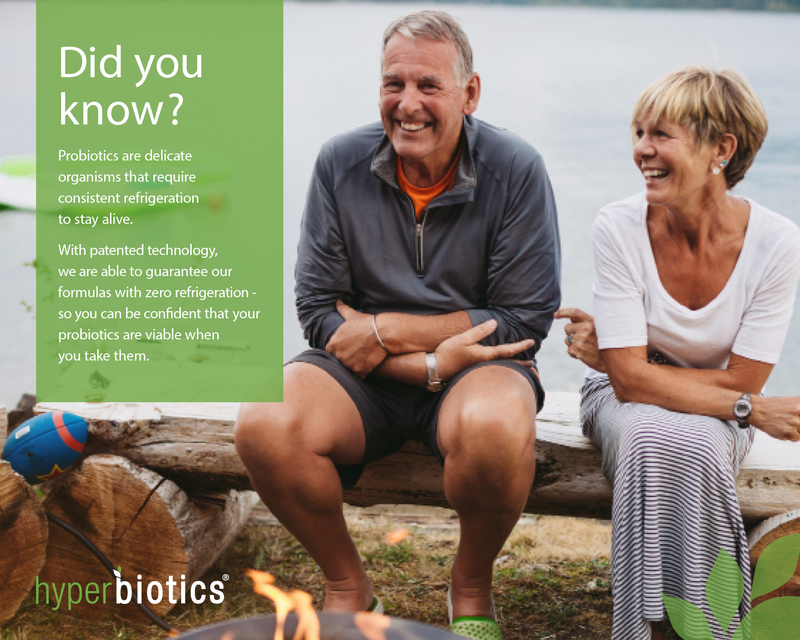 Our patented BIO-tract® delivery process ensures that the living organisms are delivered throughout your day and throughout your gut – so you don't need to buffer it with food as you may with other capsules. Use earlier rather than later. 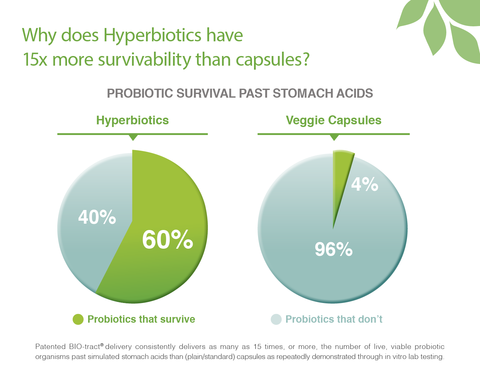 The reason we never have too many tablets per bottle at Hyperbiotics is that CFUs begin to slowly die off once the bottle is opened (this applies to all probiotics, not just Glucose Support. In fact, our patented technology makes our die-off drastically slower than that of others!). We want you to get the highest potency possible, so we simply don't pack hundreds of tablets into one bottle. Increase your dosage when needed. If you are in search of more intense support or have just completed a round of antibiotics, you can take up to 3 tablets per day. It’s also a good idea to increase your dosage just before and during travel as it often exposes you to temporary digestive and immune stress. An additional tip is to eat a whole food diet, high in fruits and vegetables. Studies show that the microorganisms in our gut change relatively quickly based on the food we eat. Foods that are rich in prebiotics will also help your probiotics colonize and “set up shop” in your GI tract. When you combine a clean, whole diet with probiotic supplementation, you are giving your body the tools it needs to find its balance again. Make sure to stay hydrated and to stay as active as you can so that your body can move out the unnecessary as your probiotic colonies are being repopulated. Please note: You should always consult a primary care physician/health practitioner of choice when considering the use of any products for health purposes, especially when undergoing treatment for an existing condition. Warning: Keep out of direct light. Do not contaminate or touch fluid in bottle. If you are pregnant, nursing, or taking any medication, consult your doctor before use. Discontinue use and consult doctor if any adverse reactions occur. Not intended for use by person under the age of 18. Keep out of reach of children. Store in a dry place and avoid excessive heat. Disclaimer: These statements have not been evaluated by the FDA. This product is not intended to diagnose, treat, cure or prevent any disease. Information on this site is provided for informational purposes only and is not meant to substitute for the advice provided by your own physician or healthcare professional. You should not use the information contained herein for diagnosing or treating a health problem or disease, or prescribing medication. The information on this website is for informational and educational purposes only. It is not an attempt by the writers or publisher to diagnose or prescribe, nor should it be construed to be such. The information is not intended to replace medical advice offered by physicians. Readers are hereby encouraged to consult with a licensed health care professional concerning the information presented, which has been received from sources deemed reliable, but no guarantees, expressed or implied, can be made regarding the accuracy of same. Therefore, readers are also encouraged to verify for themselves and to their own satisfaction the accuracy of all reports, recommendations, conclusions, comments, opinions, or anything else published herein before making any kind of decisions based upon what they have read. If you have a medical condition, please consult your medical practitioner. Vita Stream, INC will not be liable for any direct, indirect, consequential, special, exemplary, or other damages arising from the use or misuse of any products, materials or information published.